As part of my birthday celebration last year, I wrote this September 30, 2017 post about some of the 5-Star books I had recently read. I don't give out a lot of 5-Star reviews. A book really has to knock my socks off to be worthy of that rating from me. The books below all did just that. If you have yet to read these authors - or their books - I highly recommend you give them a try. After a very busy summer when I hardly had a moment to pick up a book, I decided to give myself a birthday treat this month. I made sure to set aside plenty of time in September to catch up on recently released books that were threatening to turn my tbr stash into a giant mountain range. Some were good, others were great, but there were a few that pulled me deeply into the author's fictional world and refused to let go, keeping me reading way past my bedtime and lingering in my mind long after I turned the final page. Here are my thoughts on those fabulous, 5-star reads. It's no secret that I've been a fan of Julie Anne Long's writing for many years but with the first three books in her new contemporary romance series, she's taken that writing to a new level of excellence (her command of the English language is breathtaking) and my love of her stories to new heights. I adored this book! The characters are so well drawn, beautifully flawed, continually evolving, and realistic. I loved Mac and Avalon's tug of war of one-upping each other. I laughed uproariously at their antics. I appreciate that Long gave them depth and didn't make this second chance easy for either of them. The secondary characters excelled in helping to move the story along while providing comic relief, conflict, and opportunities for growth. I especially enjoyed Avalon's 11-year-old niece, Annelise. The scene featuring Mac, Annelise, and her inquisitive, non-stop talking Hummingbird troop, in addition to being one of the funniest I've read in ages, convinced me I was going to fall head over heels in love with Mac, right along with Avalon. I can't wait for Annelise's mom's story. I won't be surprised if Annelise, that little scene stealer, steals the whole book! Dirty Dancing at Devil's Leap is funny, endearing, emotional, and oh, so romantic. The final chapter had me sighing, crying, and sighing some more. It's one of my favorite books of 2017 and going straight to my "I'm going to re-read this over and over keeper shelf." Between vicious meth-cooking fugitives, hostile family members, rampaging egos in the Virtue Falls city council and -- shocker! -- not one but two compelling men competing for her affection, Kateri Kwinault, the newly-elected first female sheriff, has her hands full. As with the earlier Virtue Falls books, this one sucked me in from the first few pages and refused to let go. 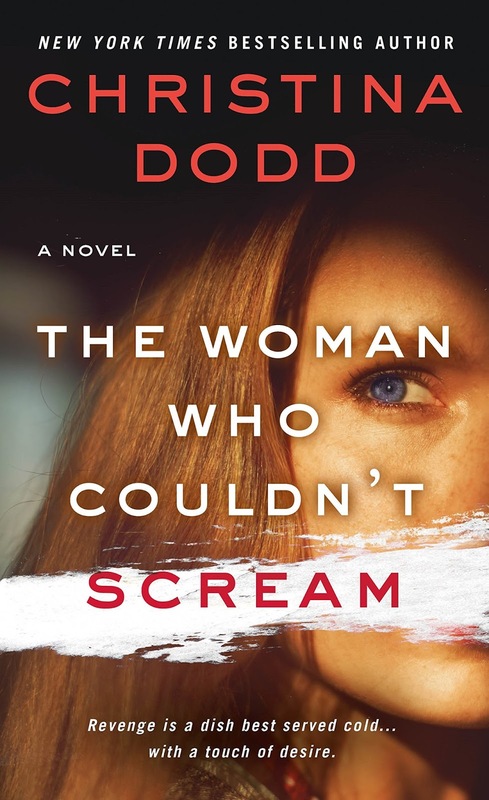 Dodd has created an ordinary world with sinister undertones, populated it with fully formed characters that seize my interest, and surrounded them with edge-of-your-seat suspense dappled with sass, snark, humor, and emotion. If that isn't enough, she adds paranormal elements that at first glance seem too farfetched to be believable but by the time I've finished the book seem completely normal. And then there are the villains, chilling in their evil, and keeping me guessing their next moves to the very end. All of it makes me want to book a flight to coastal Washington; walk the rugged shoreline, collecting driftwood and shells while inhaling the fresh scent of the towering pines that dot the hills above, grab a table in the Oceanview Cafe, chat with Rainbow, eavesdrop on the crusty old men lingering over their coffee and pie, hang out with Sheriff Kateri, and drool over her gorgeous ex-con boyfriend, Stag, who may or may not be walking on the right side of the law. But, with all the serial killers, meth dealers, and such, not to mention earthquakes, a tsunami, and the undersea Frog God, maybe traveling there in person isn't that great of an idea. However, traveling to Virtue Falls between the covers of a Christina Dodd novel? Now that is an outstanding idea! 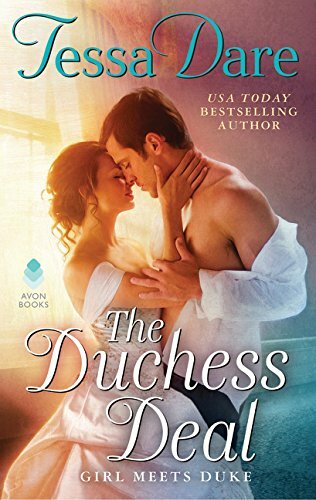 I love a damaged hero whose life is upended by an intrepid heroine and that's exactly what Dare gives us in The Duchess Deal. Ash and Emma are such fun. She's a surprise at every turn and exactly what our wounded (in body and spirit) hero needs to pull him out of his self-imposed isolation. Their journey is engaging, emotional, and satisfying. Surrounding this unlikely couple are fascinating secondary characters including three young women who, it appears, will all have stories of their own and my personal favorites: the hero's long-suffering butler, Khan (I adored him!) and a cheeky young boy who appoints himself the hero's crime-fighting assistant. I'm hoping we'll have the opportunity to see both of them again in future books. Pair these vibrant characters with Dare's witty dialog, heartfelt emotion, and sparkling humor (Emma's many possible pet names for her Duke when she can't figure out what to call him, and he's no help, are hilarious. "Twinkles" was a particular favorite of mine) and you have a feel-good story that will make you laugh, sigh, and turn the final page wanting nothing more than to go back to the beginning and start all over again. If you're looking for a riveting contemporary romantic suspense story that grabs hold and refuses to let go, you need to be reading Jennifer Ryan. I discovered her a couple years ago and now eagerly await every book she publishes. In Montana Heat:Escape to You, Ryan has created a truly chilling tale that I could not put down. Beck/Trigger has isolated himself on his remote ranch while he recovers from injuries sustained while working undercover and to stay off the radar of the drug lord who wants him dead. He's a protector, one of the good guys, and I was in his corner from the get-go. Ashley and little Adam have spent the past year in a living hell, enduring unspeakable physical and emotional abuse. My heart broke for both of them. Their escape and desperate flight into a freezing Montana night couldn't have led them to a better person to keep them safe. But their captor, and tormentor, is cunningly clever and won't give up until he steals them back. Ryan excels at creating complex, multi-layered, realistic characters. Beck's years undercover have taken a toll and left him wondering who he really is. His struggle to answer that question is genuine and heartfelt. While Ashley has spent her career in movies, what she's endured for the past year could happen to anyone who trusts the wrong person. The journey she travels is so real with steps forward, and backward, and no easy fixes. Ryan captures it all, the good and the bad, in such detail that the reader can't help but share Ashley's pain, desperation, and first tentative steps toward taking back control of her life. I lost count of the number of times I gasped, ached, sighed, and, finally, cheered as I read this story. 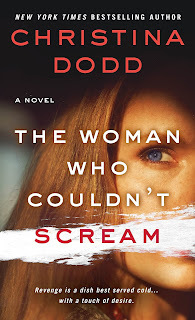 The twists and turns kept me engaged, with edge-of-your-seat suspense, the action pumped my adrenaline, and the emotional intensity of Beck, Ashley, and Adam's journey captured my heart. I can't wait to see what Jennifer Ryan brings us next! Have you had any 5-Star reads lately? Tell me about them. I've read a lot of them this year. For the Duke's Eyes Only by Lenora Bell. When a Duke Loves a Woman by Lorraine Heath. And the entire Beard series by Penny Reid. They were ALL so good! One of my 5 star reads is "Best of Luck" by Kate Clayborn (and really the two previous books in the series were as well). Hard to believe this series are her first books!!! Also, "The Duchess Deal", "One Day in December" (Josie Silver), "The Prince" (Katharine Ashe), "No Earls Allowed" (Galen), "The Kiss Quotient" (Hoang), "Where Hope Begins" (West), "How to Walk Away" (Center), "The Myth of Perpetual Summer" (Crandall), "The Simple Wild" (Tucker)… and I'm going to stop there. :-) It's been a great year for romance!!! I just finished Shades of Wicked by Jeaniene Frost and Archangel's Prophecy by Nalini Singh and both of them were amazing! I recommend them both! I gave Anna Bradley's More or Less a Temptress five stars on Goodreads. I'm just finishing up Thrill Girl by Emelle Gamble and totally enjoying it. Lots of twists and turn; a real page turner. Donna VanLiere's The Christmas Star. I've only read Julie Anne's historical romance books. As I said in one of my previous posts the best books I've read for the past week are Kresley Cole's "The MacCarrick Brothers'trio. I don't read e-books, so there's no need to enter me into the contest. How to Walk Away b Katherine Center. She was a new author to me and I didn't know what to expect. You will keep turning pages and bring a box of tissues. My five star read this year is The Kiss Quotient by Helen Hoang. This was just such an unusual story with endearing heroine and hero and wonderful humor. Five star read : next year in Havana by Chanel cleeton. I really enjoyed Grace Burrowe's My One and Only Duke which comes out this Tuesday, Nov 6. Karen White's Tradd Street trilogy. Kare Marie Moning's Highlander series. The Glass OceanOcean. There are more but these were awesome reads for me. The 12 Dogs of Christmas, had me crying. I have read a few good ones. Including Loose Ends by Kristen Ashley. I just started Shades of Wicked by Jeaniene Frost and know it's gonna be a 5 star.